There is so much to love about the low country, so we are starting with a little bit about the area. Bluffton is booming, there is a lot of new construction in Bluffton, and many neighborhoods for first home buyers. There are also stunning private communities along one of our many rivers that make for breathtaking views and activities galore. 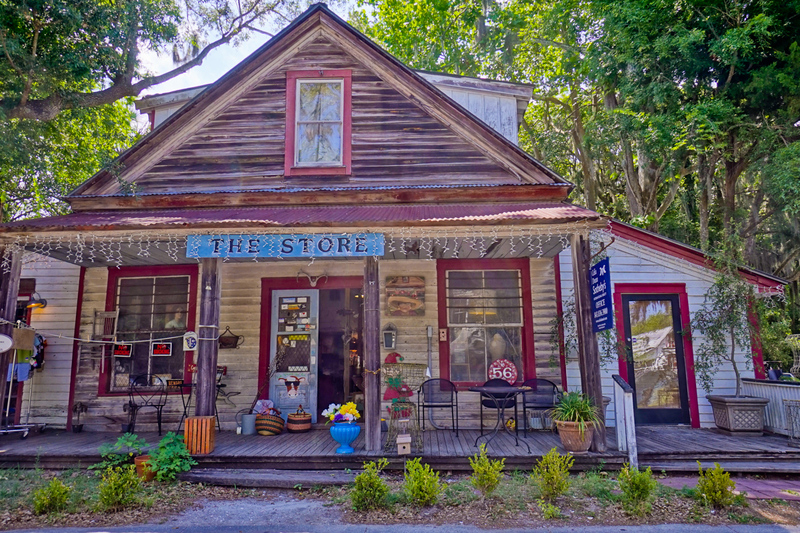 Add to that a stretch of big box stores and more importantly a quint historic section filled with cute shops and delicious fare, and Bluffton is moving up on the list of places to live. Bluffton has seen a boom over the past few years, and we are loving the activity and buzz that is now Bluffton. 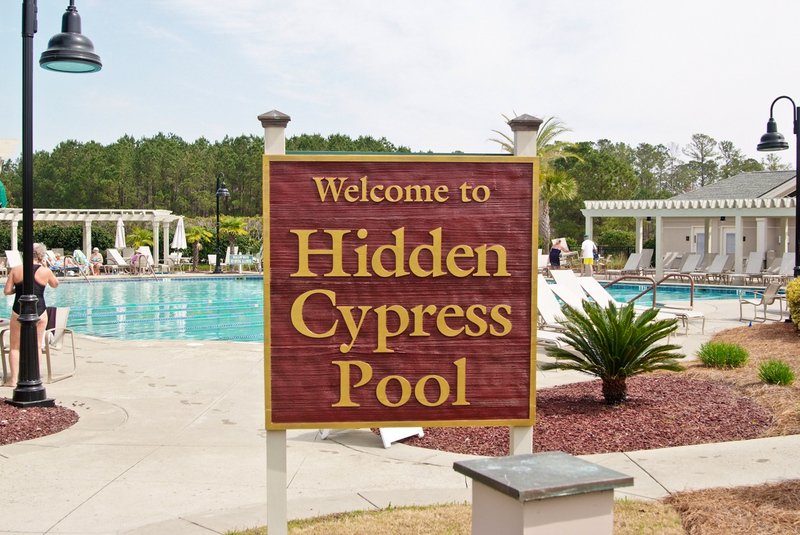 Moving a little further away from the coast, you will find Sun City Hilton Head, a picturesque 55+ community with more activities than Summer Camp. Homes in Sun City vary from under $200K to beautiful 1M+ homes on stretches of tidal marsh with water views in the Riverbend section. This golf cart community has plenty of pools, lots of golf, an is close to just about anything you could need. One of the draws to Sun City is its proximity to everything. 8 Miles from I95, residents living in Sun City have easy access to Savannah, Beaufort, Charleston and the beaches of Hilton Head. 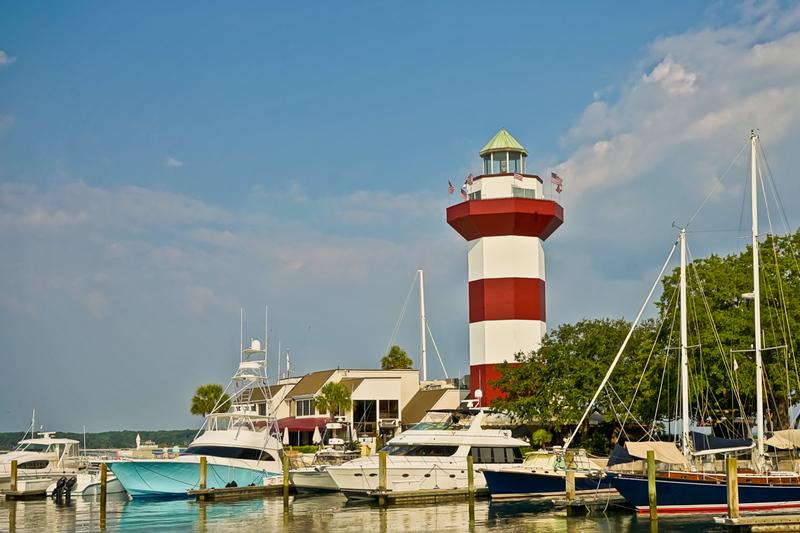 Looking for a true Island Life experience, moving to Hilton Head Island, may be the answer you have been looking for. With 12 miles of pristine beaches, 108 miles of paved shared use paths, 24 Golf Courses, hundreds of tennis courts, not to mention the 11 schools we have on the island. 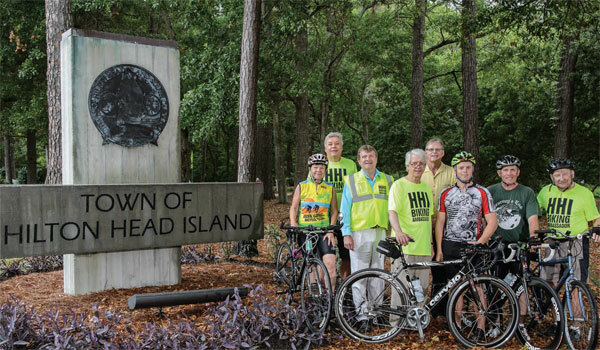 Whether you are coming to enjoy your active golden years, or moving with a family, there is always something for everyone on Hilton Head Island. There is something for everyone in the Low Country, and we are happy to be here to help you through the entire process. With Love From the Low Country! This is a tricky and sometimes confusing component of house hunting. You will hear lots of different lingo surrounding the discussion of flood insurance when you are in the process of buying a home on a barrier island, or on the mainland in a flood plain. If your home was built before September 1, 1977 this is considered FEMA Pre-Firm Policy and you will get the best rate without an Elevation Certificate. If you are using the home as a secondary home or a rental and are seeking flood insurance in the private flood market, NO ELEVATION CERTIFICATE is needed. If your home was built after 1977, but before 1984, the town will not have an elevation certificate so it needs to be received from the county or order a new elevation certificate. The county is not as accuarte as Hilton Head Island so sometimes finding this elevation certificate can be tricky. You may be better off to order a new one. If the home was built after 1984, the building codes and elevation should be to code, and you do not risk having an elevation issue cause a contract issue on the sale of your home. 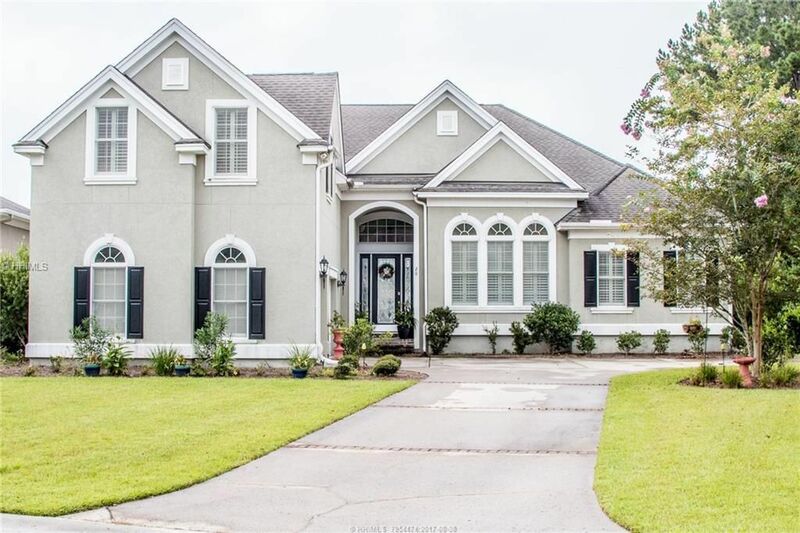 If you are looking to buy a home in the Low Country, the trickiest homes to buy are those that were built prior to 1977, with its primary use as a second home. 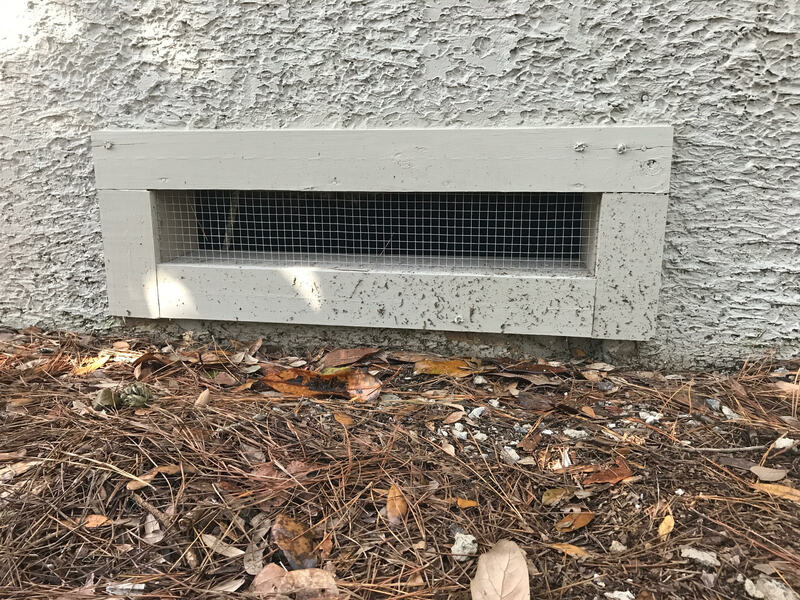 If the home is elevated, but not properly vented, that is a relatively easy fix and adding proper venting will cost approximately $1500-$2500. This will make the home FEMA Compliant. With a home of this age, the sellers ACTIVE policy will be grandfathered into effect, the most important component of this is that the policy must remain active. It is always best to work directly with an insurance professional regarding any questions about Flood Insurance when you are buying or selling a home. Our friends at Colonial South Insurance can be extremely helpful if you need a professional opinion or quote on Home Owners Insurance. 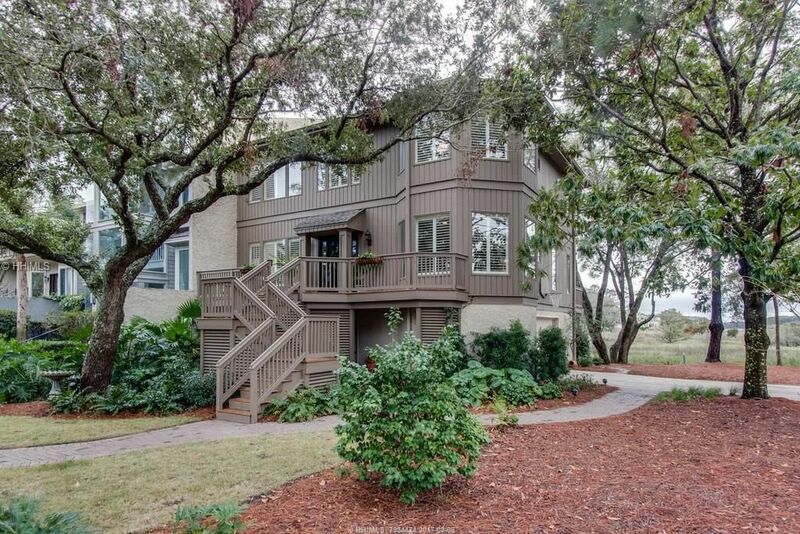 Life on Hilton Head, in the Real Estate world, is moving very quickly right now. We are seeing houses going under contract before the listing even hits the MLS, homes going under contract in mere days, and prices are reflective of the demand on the inventory. 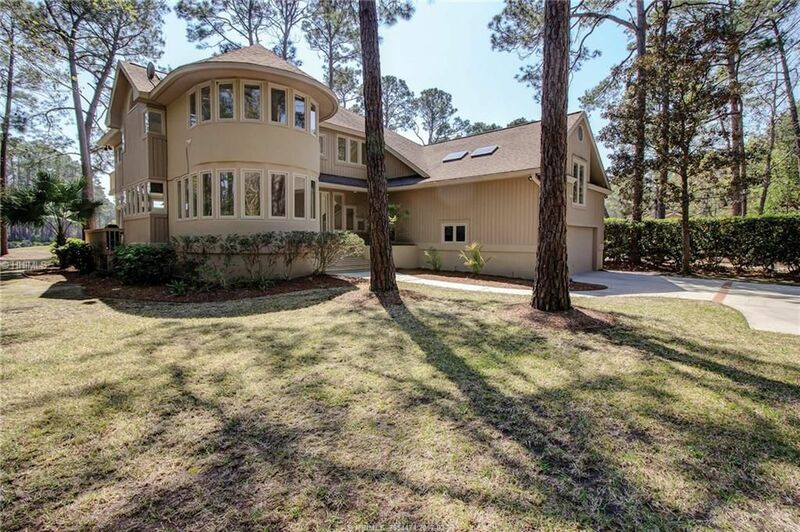 Bluffton is booming in equal measure to Hilton Head with family homes, retirement homes, and large family estates all seeing more activity and going from NEW LISTING to SOLD in days. The average days on market right now is 45, and previously it was up to 6 months or longer if your home was priced over $500,000. 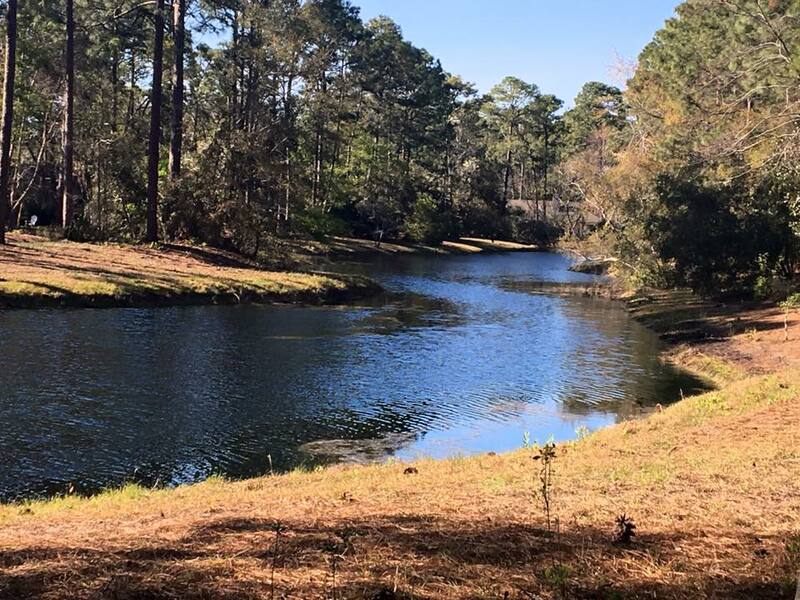 The growth of Bluffton has led to a lot of new construction homes, and many folks moving to the area are drawn to the quaint charm and historic vibe of Old Town Bluffton. As the population is growing, construction and home sales booming, folks are wondering if they can still find the right home for them. Here are our 5 Tips for buying in a HOT RESORT MARKET. 1. Know where do you want to be. 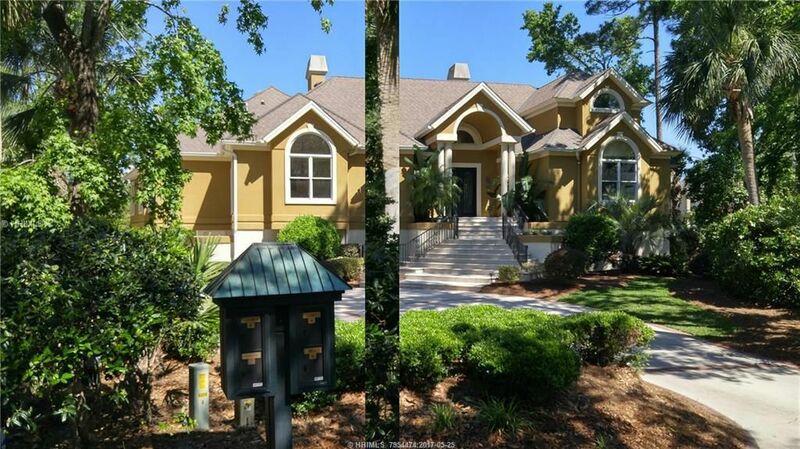 Do you want a single family home on Hilton Head or a villa in Bluffton? Do you want to be on plantation or off? These types of questions will help guide you and your agent to finding you the best home for you. Do you enjoy walking to have a meal or coffee in the morning? Does a sunrise walk on the beach make your day. Once you can narrow down the important lifestyle features you are looking for. 3. What is the purpose of the real estate purchase. What is your perogative with this property. Do you intend to use it as a primary home, second home or investment property. Your purpose for your home is going to dictate a lot of areas to hone in on or to avoid. 4. Keep in mind the 80% Rule. If a property hits 80% of your "must haves" this is a property that should be moved to the top of your list. There is not a single property that is going to meet every single one of the items on your wish list. 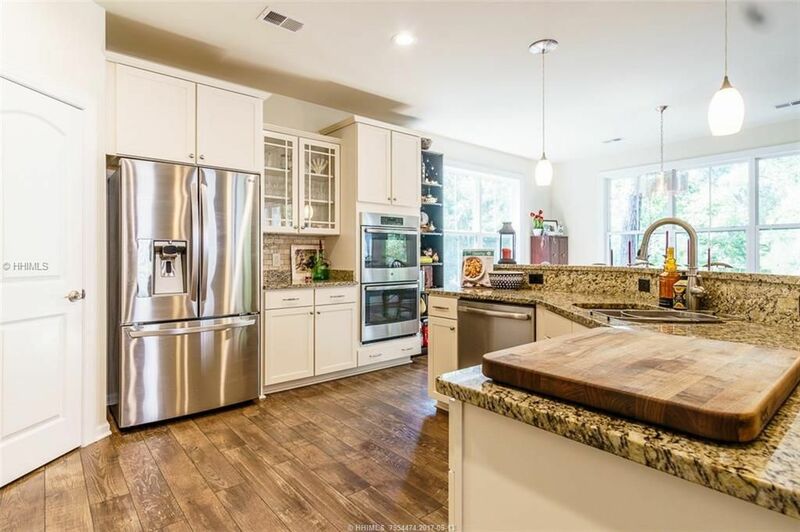 If you are looking for a Charleston Style home with a stunning kitchen, make sure to mark that property as a top contender. The Hilton Head and Bluffton Market is moving at a very quick pace. Homes are going under contract in days, and sometimes are under contract prior to hitting the Multiple Listing Service. If you see a home or villa that meets your needs, there is not a lot of time to wait. If you are one to persue your dreams, living on an Island may just be high on your list. Island life can be easier for some than others, but once you put your mind to it, making the move is life changing. People are frequently commenting on how nice the folks are in the Low Country, and we certainly were not surprised when we were named as one of the Friendliest Seaside Towns. When folks decide to move to the be near water, southern hospitality prevails and attitudes change. Recently someone asked, "why is everyone so nice?" With beautiful beaches, wonderful weather, and everything the Low Country has to offer, everyone is simply very nice. If you are looking to relocate, there are many options to consider. On Island or Off, On Plantation or Off Plantation, do you like to walk the beach at sunrise, or fish off a dock? There are lots of ways to narrow down exactly where you need to be. 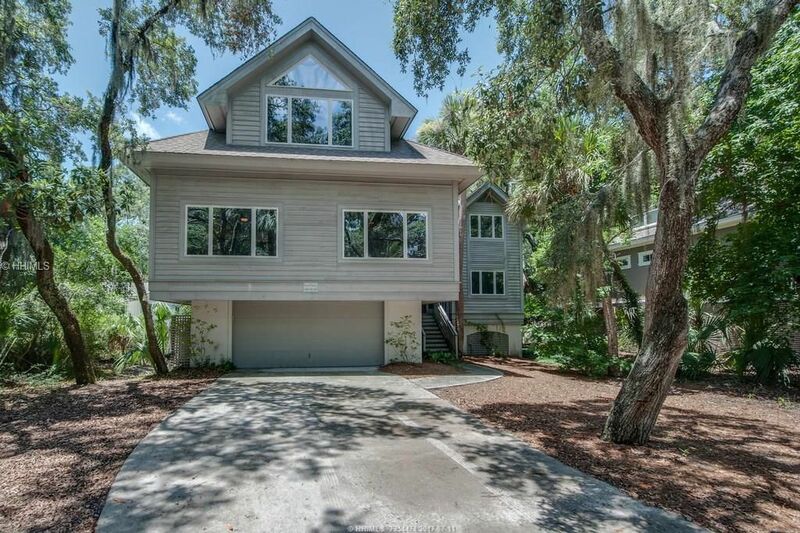 Property in both areas, Hilton Head Island and Bluffton, is increasing in value, but there is still a large variety of homes available to meet all budgets. Another big questions to ask yourself is, "What is the purpose of the home?" Are you relocating full time? Do you want to create revenue with your property? Are you buying now to retire later? When you are thinking about buying into a resort market, the list of questions is considerably longer than when you are buying in any other market. 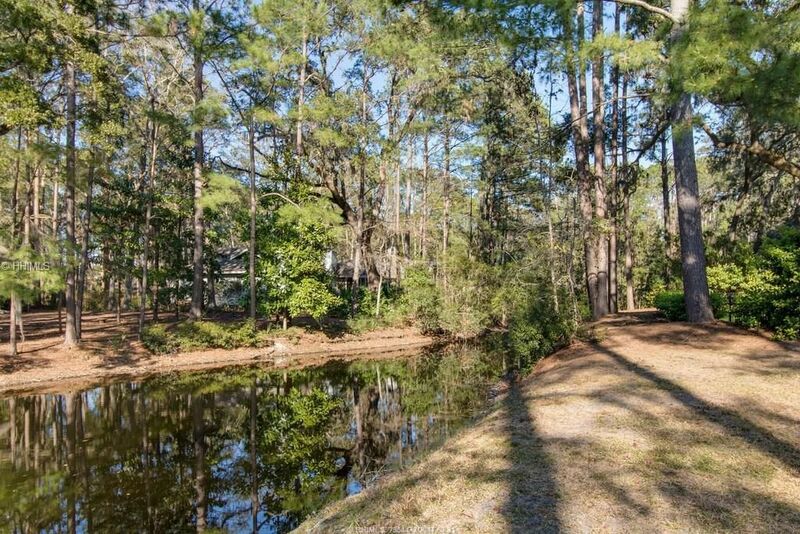 We are available to help walk you through all in pieces of House Hunting on Hilton Head that may be different than the experience you may have had in the past. 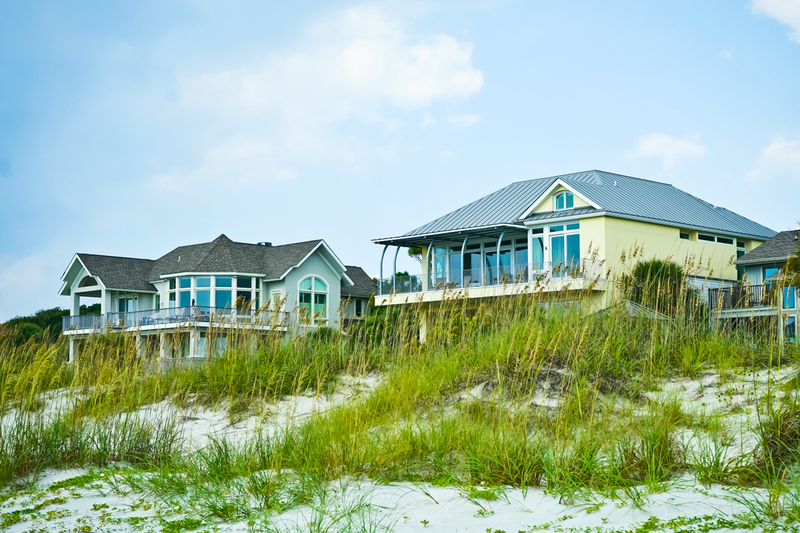 When you own property on Hilton Head, there are many options when it comes to how you use your home. If you buy a home to hold onto until you are ready to use it, the short or long term rental system is a great option. With short term rentals, you can expect higher weekly rental rates during the summer, with units consistently rented for 20+ weeks per year. Don't count out the Snowbirds who like to rent for 3 or more months during the winter. We attribute this to our extended fall and spring Golf Guests, and retiree's looking to avoid the snow and cold weather in the winter. The long term rental market is is extremely good right now with more demand than supply causing the monthly rental rates in long term communities to average between $2000-$3000+ a month for a 3-4 bedroom home. If you dream of owning property in the Low Country, think about making that purchase now, and using it as an income producing property until you are ready to move it. Interest rates are still low, and they are not making any more coastline. We always encourage house hunters to speak with a Mortgage Professional to get a true picture of what you are able to purchase. It allows us to better serve you and find the perfect property for your needs. Deciding to become a Real Estate Agent is a life changing event for many people, including Sarah Smith, who just celebrated her one year anniversary as a Realtor® with RE/MAX Island Realty. Sarah spent five years as the Director of Member Services at Wexford and loved every minute of it. 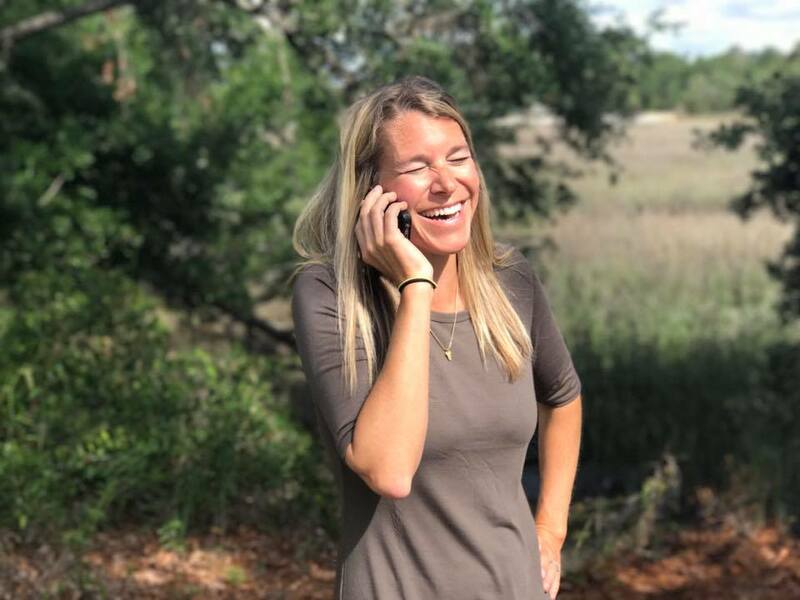 With an intense pride for Hilton Head Island, and a complete and passionate “Love Where You Live” mindset, getting into Real Estate in the beautiful Low Country was a natural progression of her career. The first year in any new job can be a challenge, but when you become a Realtor®, you are not only starting a new journey, you are starting a new business. As the mother of two small children, Sarah did a lot of pre-planning and behind the scenes work before she actually signed on with RE/MAX Island Realty. She had a marketing plan in place, farming letters ready to go out, and had started letting people know she was making a career change. According to Sarah it was scary transitioning from a salaried position to commission only. Sarah, a college athlete with a competitive personality, was determined to succeed. She immediately threw herself in and started working. Working all the time, from her phone at the beach, at kids’ birthday parties, at the pool, even in the tub. If her phone rings, Sarah answers it. There is no time she isn’t talking, working, or thinking Real Estate, and her persistence and dedication has paid off. Real Estate can be filled with extreme highs and lows, and Sarah will tell you that the lows are her fuel. 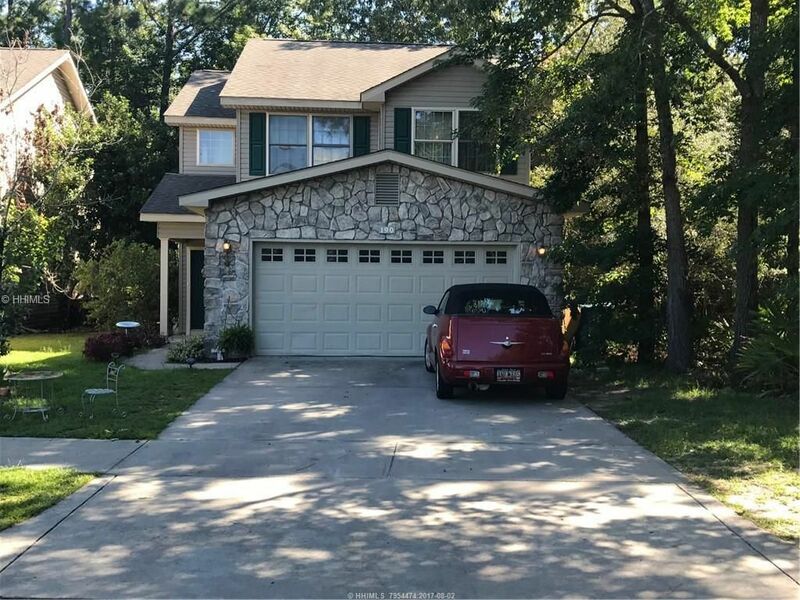 When things don’t go as she planned, it pushes her even harder to get more listings, to find more buyers, and to work as hard as she possibly can to make dreams come true for her family and for other families. She tries extremely hard not to let anything get in the way of her positive attitude. Through casual conversation with friends or colleagues, or more formal recruitment, Sarah is frequently asked if she would ever consider leaving RE/MAX. Her first thought is always, “Why would I leave RE/MAX! They do what they say they’ll do, they offer the best split in the industry, and there are so many experienced agents there who want me to succeed! Every one of them is always willing to help, or lend a bit of advice, not to mention, we laugh a lot, and having fun at work is priceless. That is pretty hard to compete with. Anytime I have ever needed something, someone from the office is there to help almost instantly. 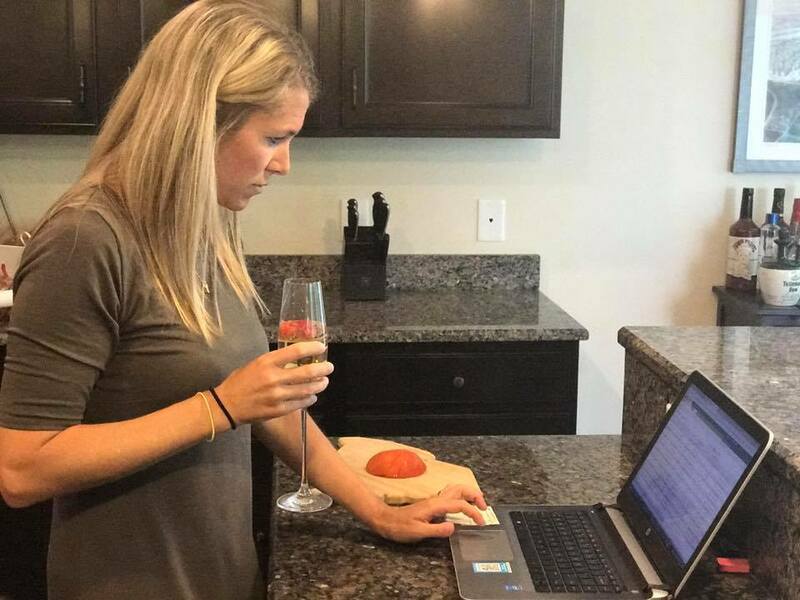 Sarah had her first property under contract within 30 days, closed over $4,500,000 in volume, and has seen 12 properties go under contract in her first year as a REALTOR. What a difference a year makes. This little Island is hopping! You can expect a little extra traffic, and lots of extra pedestrians and cyclists on and around the bike paths for the next few months, so please use caution, both the drivers and the walkers! That being said, Hilton Head welcomes our Island guests with grace and dignity. We have bike ambassaors at some tricky intersections, we have lovely visitors and famies staying here who also LOVE this Island, and have a great deal of respect for it. 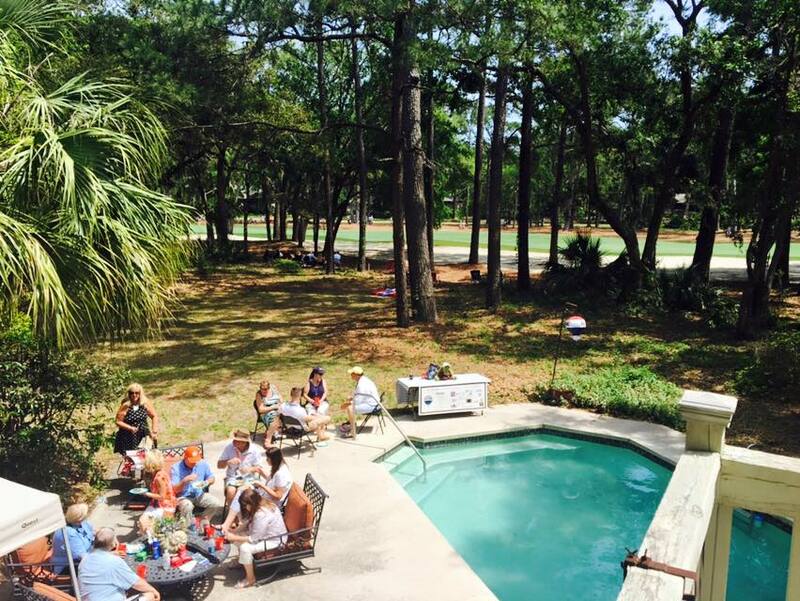 Frequently we get asked about what it is like to live on Hilton Head during tourist season, and we generally all agree that Southern Hospitality prevails. During the prime season and out of season, living, working and playing on Hilton Head is equally pleasant all year round. 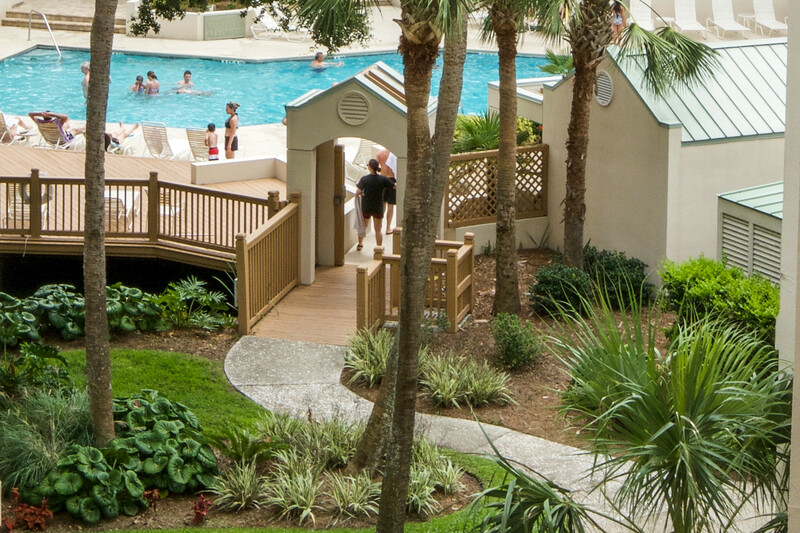 In the Summer, you may just have to give yourself a few extra minutes to get around the Sea Pines Circle! We have been urging folks lately to buy now. This is not just a 'QVC' sales pitch, all things align right now to indicate that buying now and retiring later is one of the best things you can do if your retirement plans include Hilton Head Island. Find out what is possible; you may be surprised after talking to a mortgage professional, that you can buy that villa in Sea Pines! It makes sense on so many levels. Villa life is appealing in the low country, lock and leave with little or no maintenance, who wouldn't want a villa! Villa's also make great investment properties, visitors love the proximity to the beach that many of the villa complexes on the Island offer. There are many many complexes to choose from, just make sure you are asking the right questions. There are a few questions that you need to ask your agent when you are villa hunting, some of these things can mean the difference between being able to obtain financing and having to bring a stash of cash to the table. 1. Is There a Recpetion Area? 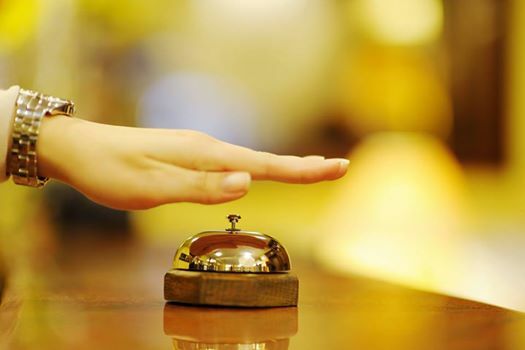 If the villa complex you are falling in love with has a large welcome area with a reception desk, or an area you 'check in' to, many banks see this as a Hotel, and will not finance it. 2. Is There Pending Litigation? 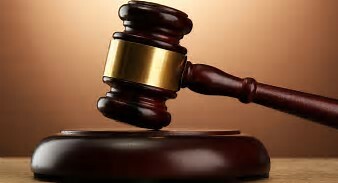 Ask your agent about pending litigation against the property or the regime. This is a quick call to the regime manager to get an answer. If there is pending litigation, financing will be nearly impossible until the litigation is settled. 3. Are the majority of units owned by investors? If more than 50% of the units are owned by investors, it may mean you need to bring all cash to the table. 4. Does it have a Lock-Out Unit? 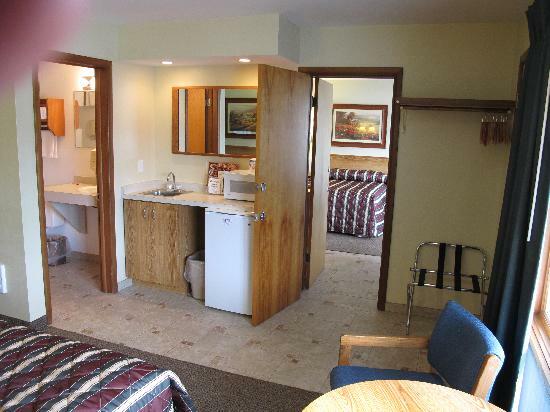 Lock out units are the second or third bedroom of a unit that has a bathroom and frequently a very mini kitchen. The owners of a villa with a lock out unit essentially have two units in one. The single unit can be 'locked' so two separate families or individuals can rent the space. 5. Is the unit part of a Timeshare? Timeshare is a real property transaction, but not one that banks will finance. Alex Smith and Ben Russ with PrimeLending can help you with any questions you might have about financing any home or villa, as always the agents at RE/MAX Island Realty are here to help with all your Real Estate needs. The RBC Heritage Golf Tournament Presented by Boeing is a week long celebration of everything island life. Golf, Beach, Tradition, and Plaid. There is so much plaid, done in so many ways, that people are already starting to think about their plaid frocks for next year. Plaid shoes, shorts, hats, dresses, purses, tartan plaid is the fabric of choice for Heritage Week. If you were lucky enough to be here for this past Heritage, you know the weather was beautiful, the skies were an unruly shade of Carolina Blue, and the people in Harbour Town seemed happier than in years past. In figuring out why smiles were so big, the common denominator seems to be Hurricane Matthew. In the dark days following the Hurricane, folks were not sure if Heritage would happen. People wondered if Harbour Town could get back together, would the marina be ready, questions loomed over everyone as the island worked feverishly to make it all work. And WORK it did! 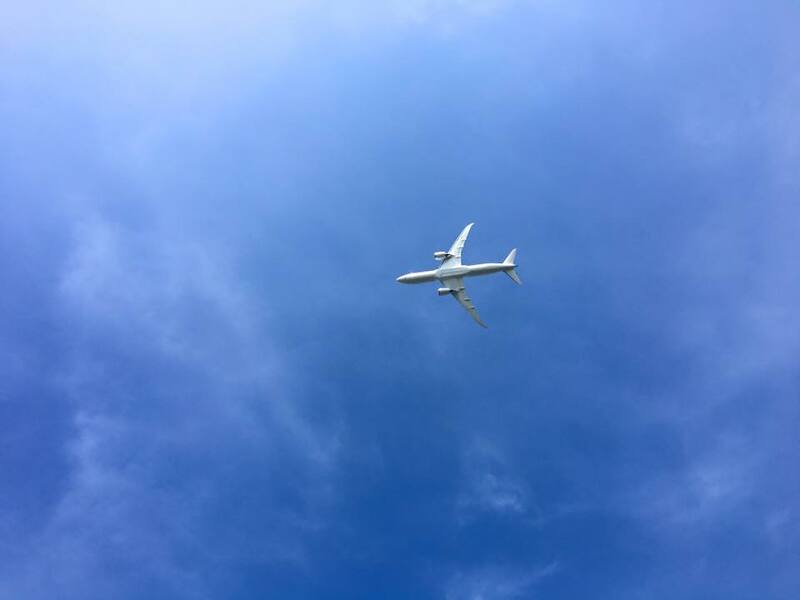 The Boeing Flyover by the Dreamliner was a little extra special this year. We were lucky enough to have a number of our agents work together to present the RE/MAX Heritage Hospitality House. 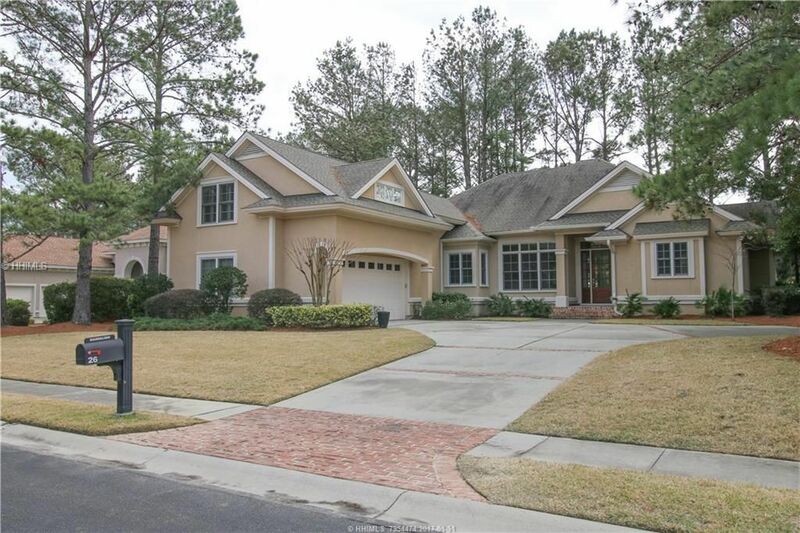 The home we were able to rent for the event, currently listed for $1,125,000, sits on double lots on the 15th Fairway of the Harbour Town Golf Links. We had the luxury of an inground pool, and viewing the tournament from the bunker on the 15th. Folks may have chosen to take a walk and check out the Tournament Grounds, but many of the guests just hung out at the house and watched the action from the 15th. On a side note, this home is fabulous for entertaining, trust us, we had 700 golf goers through the doors and the flow and function are perfect if you are an entertainer. 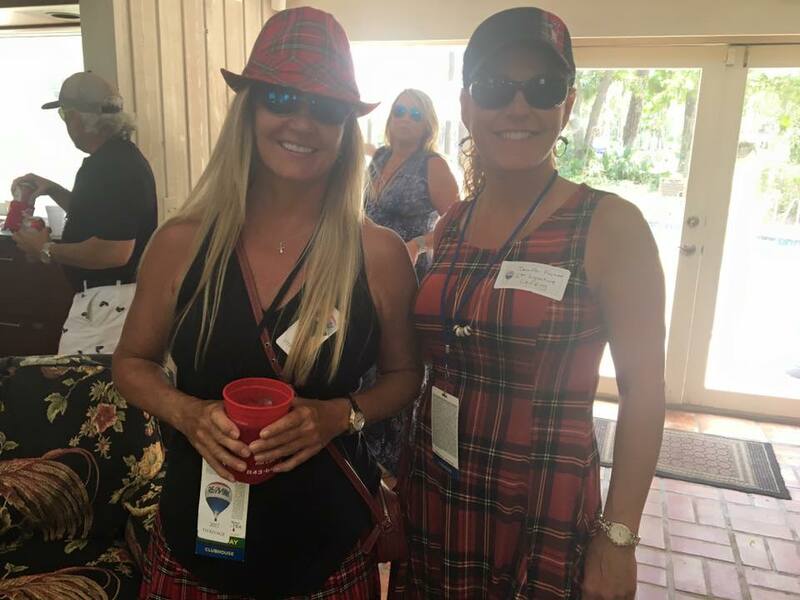 In collaboration with many local businesses, we had Four Fabulous days of mingling, eating, drinking golf and networking. Mark your calendar now to come to Heritage with us next year. To folks coming from the north, the fact that we live in harmony with our ancient reptilian neighbors, the American Alligator, raises the hair on the back of their neck. Native to the southeast, the American Alligator lives mostly in fresh or brackish water. A few years ago, we had a family re-locate to the island, the mother of three children was absolutely convinced that they would not live on a lagoon, well guess what....the house they fell in love with was on a lagoon, so they pulled the trigger and have learned to live with alligators as their neighbors. In general, gators are more fearful of humans, then humans are of gators. There are a few things to consider however, during mating season (Spring) and baby season, mother alligators can get very aggressive and will fight to protect her eggs or babies. As a rule, lagoons should be viewed from a safe distance, and always be aware of your surroundings. Never feed alligators. Folks fish in the lagoons all the time, and yes, alligators steal their fish all the time. That mother of three we told you about, her son fishes in the lagoon, and he knows that once an alligator has found him, it is time to move or return home. With lagoons, comes mother nature at her finest, turtles, ducks and birds of all species call the fresh water lagoons home, add in the peacefulness that comes from living on the water, and for the majority of residents, lagoons bring a tranquility that only add pleasure to Low Country Living. When thinking about living in the Low Country don't rule out a lagoon view, folks from Pennsylvania and Ohio are frequently posting about bear sightings in their neck of the woods, or other 'fierce creatures'. We don't have bears on Hilton Head, but you will most likely spot a gator or two. 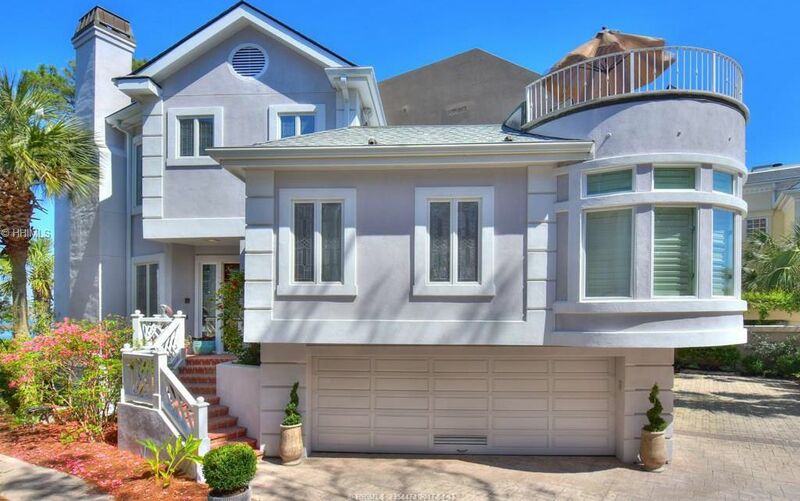 To view homes with a lagoon view, click here. Spring has sprung on Hilton Head. 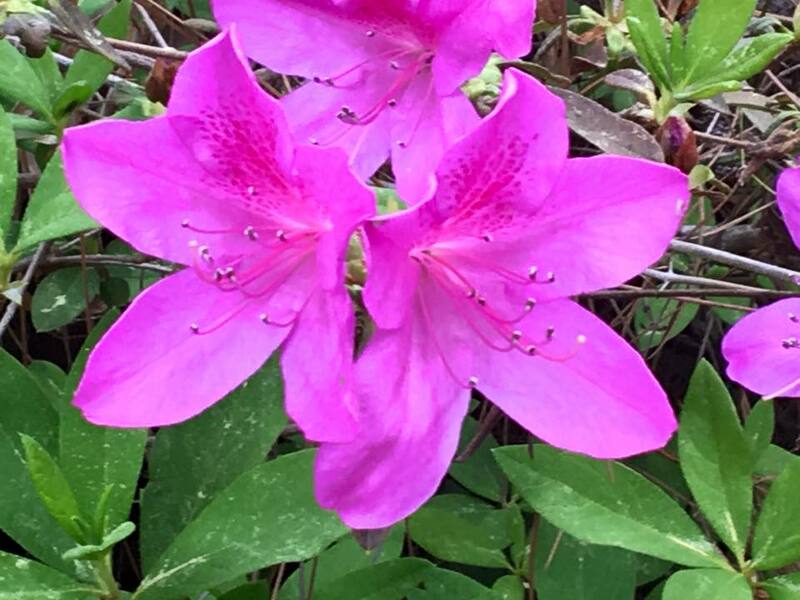 The azaleas are in bloom, the sun is warm, and the bike paths are crowded. The clean up from Hurricane Matthew is still on-going, but to our island guests, we are open, ready, and eager to greet you. One of the great things about purchasing a home in late winter early spring, is that you can have that home ready to go for the summer. Whether you are looking to use it yourself for vacation, or stay the whole summer, or if you are looking for a property to use as an income producer, now is the time to get that ball rolling if you are hoping to have all your ducks in a row for June when our prime season starts. Homes on the South End of the Island are going to be more suitable for a short term rental property, but you will want to work with a RE/MAX Island Realty Agent to narrow down your search. There are pockets of communities on the South End that either don't allow short term rentals, or are just not geographically located in an area to see high rental numbers. 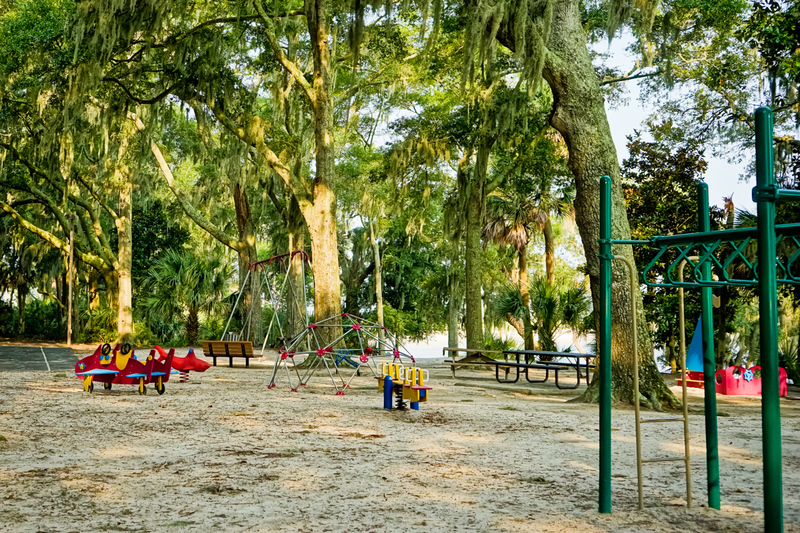 If you are looking for a home to use for personal use as a second home, or are looking to relocate to the Low Country permanently, there are options all over the island, and in Bluffton that may work best for your and your lifestyle. With so many micro-regions, amenities and locations, there is a lot to sift through when it comes to buying in the Low Country. There are a lot of resources on our website to use as a starting point. We have videos of many communities as well as area guides. Our area guides are helpful in that the searches for the communities are done for you, and they include a brief description of the area. We are adding more communities daily! Our Blog, Low Country Living, is also full of information about the area, homes, locations, amenities and more! As always, we are available, with a team of outstanding Real Estate Agents to help you in any way possible.